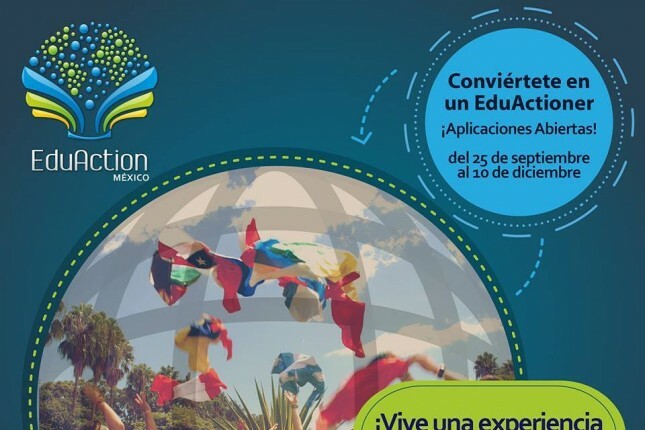 Education Project Mexico is a social project where international volunteers are offered the chance to collaborate in the deveoplement of Mexican public basic education by giving workshops to youngsters, aged 12-15. The objective of the three-month project is generating a positive impact in young students in order to generate young potential change makers and promoting values such as tolerance and team work. The workshops are about various issues such as cultural diversity, sustainability, creativity and innovation, and personal development. Workshops are facilitated in Spanish, so Spanish speakers will be given preference. We will be more than happy to count on your participation! Show us your interest in helping Mexican youth! Write to us so we can arrange an online interview as soon as possible. 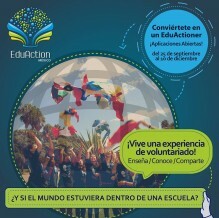 Born in southern Brazil (Porto Alegre) back in 2009, EduAction is an NGO whose social project has been exported to different countries in Latin America, such as Colombia, Argentina, Uruguay, Peru and Mexico. After nearly ten years, EduAction has reached thousands of young students in the countries above and has changed the life of hundreds of international volunteers. love education and are willing to take active part in Mexican and Latin American youth and its education. The volunteer will live in a family house. The volunteer will be given at least one meal a day. As this is a volunteering project, no salary will be offered. However, we do offer a monthly amount of money for transportation within Mexico City. Transportation basically consists of subway and bus.